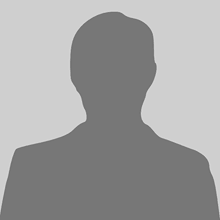 Pinchme provided me a free sample of Muse Creatable Crunchy Bites Natural Grain Free Bites with Salmon. My cats love these tasty treats. They look forward to the delicious taste and I know this as they gobble them up and ask for more. Since they are healthy, I give them a couple each day, not worrying as I know they are good for them. My car loves these they are a perfect size and good texture making them easy for him to chew. I received these free in exchange for my honest opinion. My cat is so picky and I was like there is no way he will like this. HE loved it, I am so happy that I was able for him to try this out. We received a free sample of Muse Creatables Crunch Bites - Natural Grain Free Bites with Salmon from PinchMe. Our cats gobbled it right up! I like that it was grain free, too! All 8 of my cats ran to me to try this bag of awesomeness, they all enjoyed these treats so much! They were fighting each other to get every bite possible! I felt like one of those people that feed the ducks in the park, I literally had all 8 of my babies around me waiting for some treats! 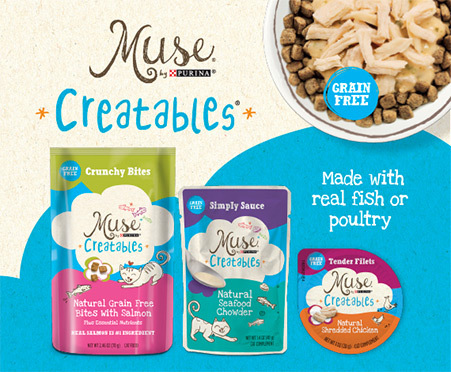 Definitely would recommend Muse creatables crunch bites - Natural Grain Free Bites with Salmon! I feel confident in the ingredients! I know my fur babies loved them! I will keep getting these tasty crunchy bites for my fur kids! Muse creatables crunchy bites natural grain free bites with salmon was loved by my cat. MUSE CREATABLES CRUNCHY BITES - NATURAL GRAIN FREE BITES WITH SALMON, my cat loved it and wanted more. A few weeks ago I received a free sample of Muse Creatables Crunch Bites from Pinchme and my cat went wild over it. Instead of serving it all together, I have broken it up into the different components in order to spread out the goodness. My cats loved it! Had to split it up so they could share :-) the gobbled it right up. 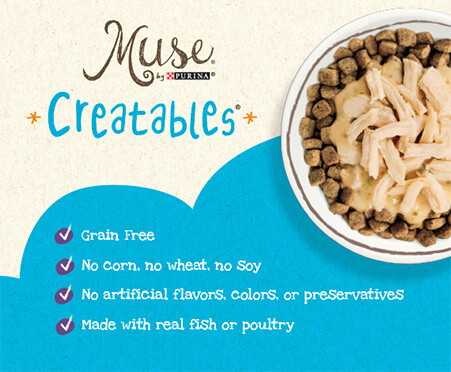 My cats loved the Muse Creatables Crunchy Bites -Natural Grain Free Bites with Salmon ! My picky eaters gobbled these up quickly! I will definitely buy this product for my cats ! Great product at a great price ! This is a very good product that I had never heard of or seen until I sampled it. Natural Grain Free Bites With Salmon is formulated to meet the nutritional levels established by the AAFCO Cat Food Nutrient Profiles for maintenance of adult cats. My cat very much enjoyed this pet food. Creatables Crunchy Bites - Natural Grain Free Bites with Salmon are excellent, my cats love it. My cat loved MUSE CREATABLES CRUNCHY BITES - NATURAL GRAIN FREE BITES WITH SALMON! She ate the whole thing right away! I would recommend it. Love grain free and this was the perfect size bites for my cats. They devoured it quickly! I reciecved a sample of Muse Creatable crunchy bites natural grain free with salmon and my cats absolutely loved it. Opening the bag they were in my lap. I highly recommend. My cat really enjoyed the Muse creatable crunchy bites. I, added them to her food to give her a little extra flavor. She kept going back to her bowl for more. I have purchased these 2 times now since receiving my free sample from Pinch me. I have a very happy kitty. Our cat is older and picky. She also gets an upset stomach easily. She ate this all at once instead of picking at it throughout the day. And she had no signs of an upset stomach later. Would definitely buy again! My cat really likes the Muse Crunch Bites Bites with Salmon. I like to sprinkle it over the Muse filets to add a lil crunch. Cat loves it! My cat has diabetes and cannot eat anything with grains. She loved the Creatables Crunch Bites with Salmon. And I knew it was a great choice since it’s grain free.